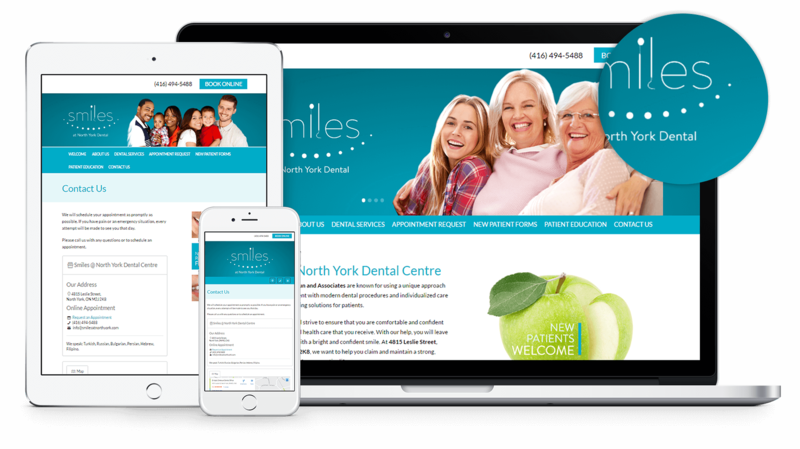 New Website for Smiles at North York. Dr. Ayla Goral Cintosun and Associates are known for using a unique approach to treating every patient. Dr. Ayla Goral Cintosun and Associates are known for using a unique approach to treating every patient with modern dental procedures and individualized care that leads to long-lasting solutions for patients. The custom-made website has an edgy and attractive layout throughout that catches people's attention from the get-go. It was built with responsive design capabilities which can be viewed either on the smartphone, tablet or desktop.